This is the blog post I wrote for the British Council and Helsinki International Artist's Project. It will be published on both their sites shortly. At the bottom, I've also included a recently published video interview I did for the Finnish Institute about the residency. There was a point sat in my studio in Helsinki's Kaapelitehdas (Cable Factory) while trying to coax a small, hacked Chinese WiFi router into doing my bidding that I considered the irony of my position. The massive Shoreditch-in-a-box Kaapelitehdas cultural centre was, prior to its conversion and during the mid-twentieth century, charged with the manufacture of electric and telephone cables and here I was earnestly and doggedly pursuing a line of research into alternate forms of communication network with just a laptop, eight or nine cups of tea and a cheap Chinese router at 3AM. This wasn't the only cultural shock of a month in Helsinki. I haven't done a residency in a long time, due mostly to the nature of being an active designer and artist; the week-to-week improvisation of activities and short-notice assignments. Taking a blanket period from this is almost unworkable. Moving from highly-social working environments with a web of dependencies and relationships to one where I was a relative stranger, in a strange city with no deadlines, no dependencies, no demands was daunting for the first week. I found myself sleeping until midday and staying up sometimes until daybreak, lost in my own small projects. There's also the shock of the city itself. Helsinki is a stunning city, especially in the summer, but one of what Dan HIll, formerly of Finalnd's SITRA calls 'absolute flatness.' A few hundred thousand people of relative homogeny spread over a metropolitan sprawl. I realised how used I was to London's dense slow-motion apocalypse; the devastating hypocrisy of the politics and the horrific inequality and injustices of London's new-found position as the one of the world's least liveable cities. My mission while in Helsinki was largely to mingle, to talk to people, to build bridges between my own practice and Helsinki during the hyper-activity of Helsinki Design Week. Some of the designers I spoke to found the 'flatness' of Finland in itself incredibly frustrating; challenging the status quo was hard if not impossible and they felt that Finland spent more time revering its dead design and architecture heroes than looking for new and exciting renegades working on the fringes. The incredible Heslinki Design Market during Helsinki Design Week, hundreds of small design companies and thousands of visitors. That said, Helsinki has an incredible and legendary design history, breeding some of modernisms' greatest creators and works. Looking at the Design Market - a central highlight of the Design Week - I was taken aback by the vibrancy and fervour for home-grown design. Everything from small home brands to international startups with clever products was present amongst what must have been hundreds of stalls and thousands of visitors and nothing was bad. Wondering around, none of it had the nauseating charm of kitsch amateurism. It was all beautifully worked and finished, well produced and solid, from tableware to chairs. But that in itself was a stalling point: From tableware to chairs. Perhaps a part of FInland's 'flatness' is that it doesn't have to deal with the urgent political questions that London's design scene is having to, sitting as it is at the eye of a storm of global political change. If you're looking for some of the most beautiful, well-produced tableware and charis in the western world then look no further. If you're looking to have your politics challenged, you'll have to dig. And dig I did. One of my first contacts was Martti Kalliala, Martti and Jenna Sutela are architect-designers from Helsinki responsible for one of my favourite books, Sternberg Press's Finland: The Welfare Game; a series of speculative fictions of how Finland might proceed into the future. This book has been a big part of my practice for the last few years and meeting Martti, it was also interesting to see that our work was moving in similar directions despite having never met or spoken before. Martti and Jenna represent a real fringe in the Helsinki design scene, of practitioners crossing areas of architecture, design, art and technology with a highly political mindset, something that's now relatively common in London. One of the side effects of the excellent education system is the inadvertant siloing of professions which has apparently made collaboration and crossovers rare. 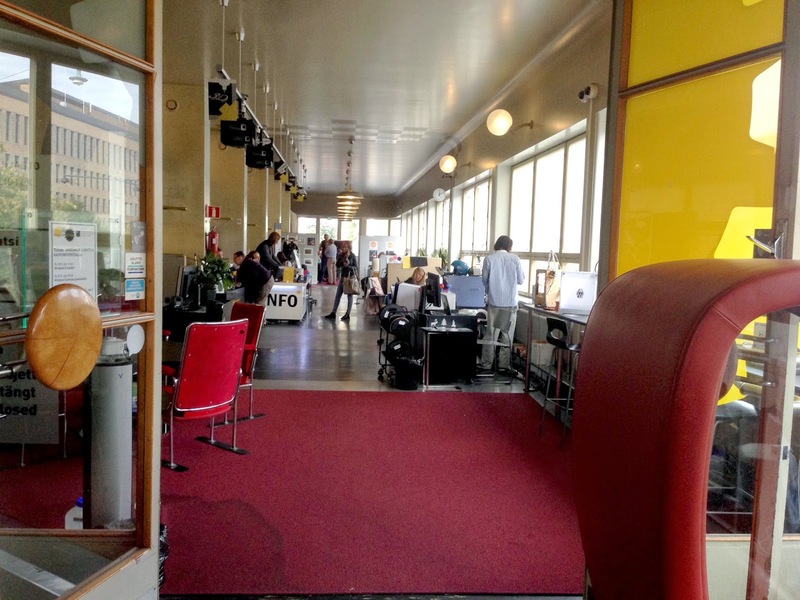 Helsinki's Urban Workshop, an actual working maker space. I think there was excited profanity at that point. One of the biggest barriers to these spaces, apart from the sneering white men, is the cost. Though not expensive, £50 for something that might not work is a big risk for austerity culture. The reason for this amazing maker culture is that the spaces are supported by the libraries. Staff time is paid for and managed by the state and so the only cost is materials. I found a similar story at Aalto University's maker space which was open to the public once a week but with public university funding. Later I visited Aalto's Media Lab, a semi-legendary technology and design research hub up in Espoo. The work the students were pursuing was interesting and thoughtful. I sat in on a sound arts class and asked the students where they came from; there were engineers, graphic designers, artists, a handful of musicians and linguists. Though I found the range of students and their interests surprising, I was most interested in what I saw on screen - from Day 0 the students are taught open-source software. While in London, the entrenched system of lobbying from software companies results in only being able to train students in hardware and software they have to pay thousands for once they graduate, the state-backed education system was teaching the students cutting-edge open source stuff, which they were actively developing. 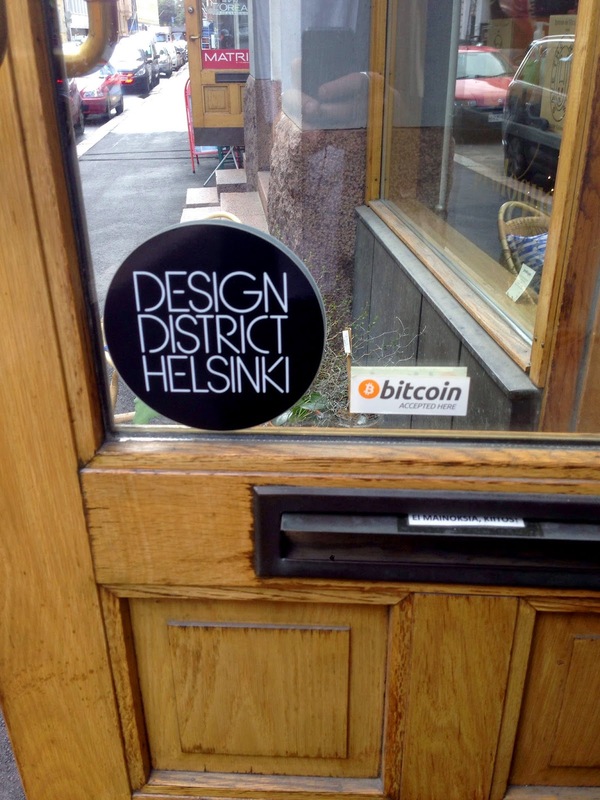 The Design District is Helsinki's design hub, full of boutique stores and stunning works. Very occasionally you find an odd juxtaposition. It's easy to do, as I did at first, to look at Helsinki's design scene and see it as a bit backwards, a bit reliant on the names of dead designers and established traditions. The cutting-edge is there, but in unexpected ways, and much of that edge is pushed by the state, from open-source software education to maker spaces that work like they do in the fantasies. There's criticism of course, and designers and architects attempting to emulate the violent froth and churn of London find themselves frustrated but there's an inexorable and subtle advance of change sweeping Helsinki that steps lightly across the whole city without the obnoxious showiness of London's burning lights. Seen on the wall of Putte's Pizzeria.